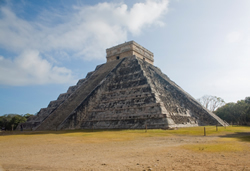 Cancun – By Vacation Express! 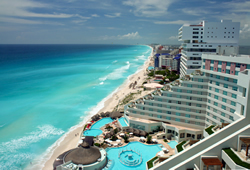 Cancun and the Maya Riviera have become a second home for North American travelers looking for great beaches, lots of sun and exciting nightlife. Mayan ruins sit next door to world-class accommodations and tourism facilities, with water sports and natural attractions close at hand. Only a couple of hours from many United States cities, Cancun is one of the most accessible international destinations available. Use the article below in your own newsletters and on your websites, compliments of Vacation Express! 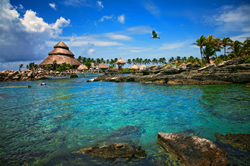 South of Cancun development along the Mayan Riviera is on a smaller scale, with a greater understanding for the principles of sustainable tourism and a respect for native cultures.